New Zealand hearts were in mouths as Brendon McCullum was hit on the arm against Australia on Saturday, but the Kiwi skipper fought through. 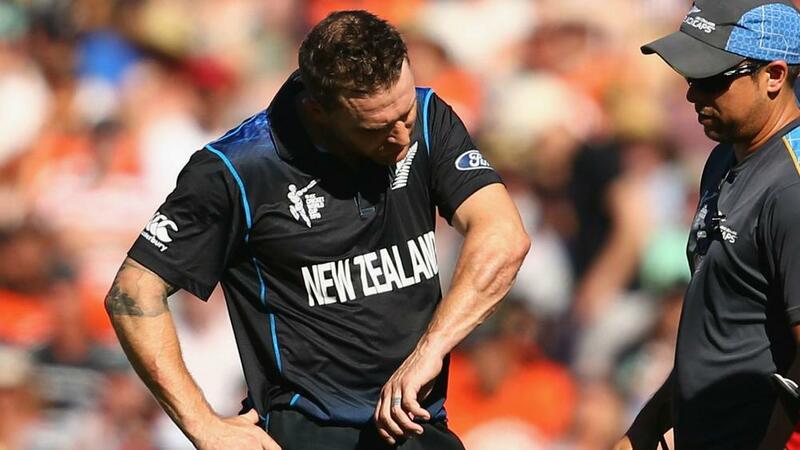 Brendon McCullum took a hefty blow to the arm in New Zealand's thrilling win over Australia on Saturday, but his participation in the Cricket World Cup is not thought to be under threat. The Black Caps' skipper was in typically brutish form in Auckland, blasting 50 from just 24 balls at the top of the order before New Zealand edged to their victory target of 152 with just one wicket to spare. McCullum was struck in the third over by a rapid short-pitched Mitchell Johnson delivery and was pictured after the game wearing a bandage on his left forearm. Match-winner Kane Williamson said of his skipper: "I think he's okay. "Obviously it was a bit of a concern when a ball that fast comes and hits you on the arm, but he's a tough competitor and he's a strong leader, so I'm sure he'll be fine."